In February 3rd, 1927 the wives and sisters of the members of Kappa Alpha Psi Fraternity, Inc. gathered at the High Street Center in Detroit, Michigan and formed a club as an auxiliary to the fraternity. This organization adopted the name of Kappa Silhouettes. Thus begins the grand and glorious history of the Detroit Silhouettes Auxiliary of Kappa Alpha Psi Fraternity, Inc. The first president of the Detroit Silhouettes was Beulah Whitby along with Rose Carter, Beatrice Terrell, Prudence Perry, Hattie Toodle, Lucy Jones, Frances Owens and Irene Graves, these women are the original founders of the Detroit Silhouettes. Initially meeting as a social group, there were no major projects. The foremost thought was the Detroit Kappa husbands and how they could be helped. However, in the early forties there was a need from the Detroit Kappa’s, and the Silhouettes immediately responded. Upon the purchase of the Kappa House in 1944, the focus of the Silhouettes changed and fund raising began. These funds helped defray the cost of furnishing and upkeep of the fraternity house. In 1948, Detroit Kappa Alpha Psi Fraternity hosted a Grand Chapter meeting and the ladies of Detroit Silhouettes played a major role by hosting activities for guest Silhouettes. During the late 1950’s Founder’s Day was established to be held annually during the month of February. The objective was and still remains to rededicate ourselves to the Kappa men and to renew loyalty and love for the purpose of serving Kappa Alpha Psi Fraternity, Inc.
1975, Ruth Westbrook was elected National lst Vice President. In 1974, Detroit chapter helped organize the Ypsilanti/Ann Arbor Chapter and in 1975, helped the Toledo chapter affiliate with National. Most recently assisted Southfield with their charter by putting them in touch with the Northern Province Coordinator, Yvonna Tuder. In 1982, Detroit participated in the 64th Grand Chapter meeting with Chair Jackie Moss Williams and President Vivian Griffey. Founders Irene Graves and Frances Owens were the keynote speakers. Registered Silhouettes received a 14-karat gold Silhouette pin designed by Barbara Polk. Florence Edwards was recognized as the Silhouette of the Year and Mildred Jackson chaired the first National Raffle which provided scholarship funds for the Kappa Foundation. This was also the year that the Detroit Silhouettes helped in decorating the Kappa House, put a framed Silhouette logo on the wall of the Silhouette room, purchased drapes and seat cushions for the first floor. In 1985 the Detroit Silhouettes Auxiliary was recognized as being the oldest Silhouette Chapter in the United States. 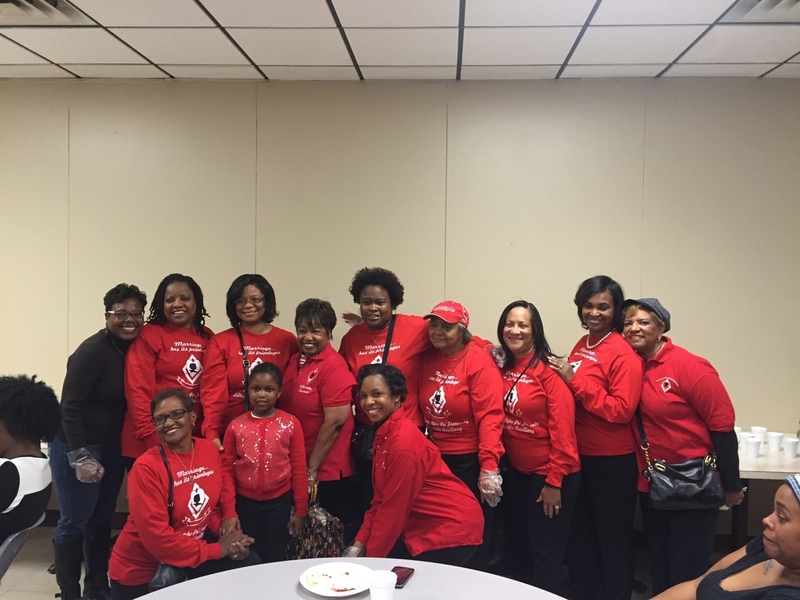 In 1997, the Detroit Silhouettes participated at the 73rd Kappa Alpha Psi Grand Chapter meeting with Chair Bea Wells and President Felicia Jones. This was a significant milestone in the history of Silhouettes. This was the 50th Anniversary of the Silhouettes as a national organization. In May 2002, the Detroit Silhouettes lost Founder Irene Graves at the age of 98. In 2004, Silhouettes said goodbye to our last living Founder Frances Owens. Both of these Founders brought joy to our group even into their later years. They are to be applauded for their contributions they made to the Silhouettes. 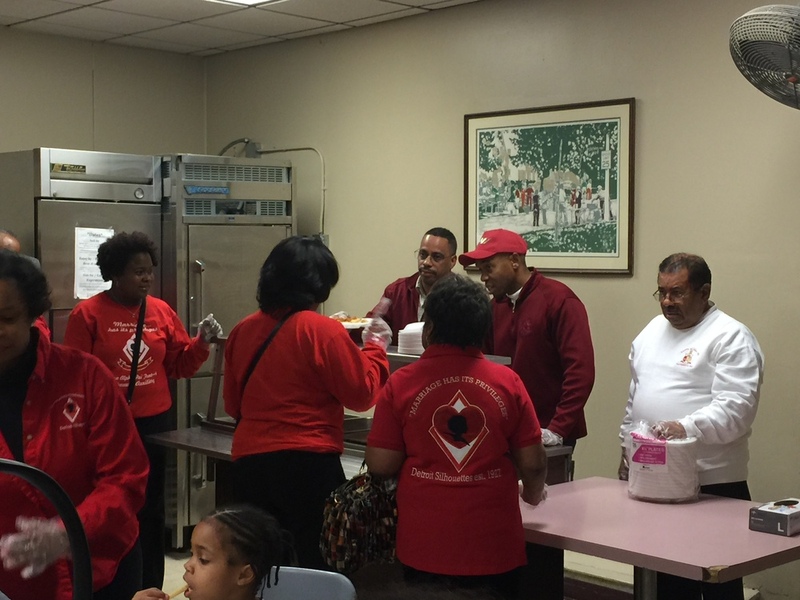 Today, the Detroit chapter remains active on a local, provincial and national level. In, 2003, under the leadership of President Pamela Trent (2000-2004), Detroit received awards at the Northern Provincial meeting in Buffalo, New York. On June, 2004 the Detroit Silhouettes participated in the Susan G. Komen Detroit Race for the cure. Our President Carrie Paster was the chairperson for this great event. At the Northern Provincial meeting in Ann Arbor, Detroit received the award for the most members present. In October 2004 Silhouettes put their feet in motion and participated in the American Cancer Society’s Making Strides against Breast Cancer event. The 5 mile walk was held on beautiful Belle Isle. This day we raised over $500.00 fir the cause. President Gwen Montgomery (2004-2008) chaired this event. Currently, we are led locally by President Reichelle Tucker serving her second term. In 2009 Silhouettes assisted in redecorating the Kappa’s House. In 2010, at the Northern Province meeting in Syracuse New York, Detroit Silhouettes were given awards for prompt payment of national dues, our newsletter and most new members. In April of 2011 the Detroit Alumni Chapter of Kappa Alpha Psi hosted the annual Northern Province Conference which was held at the Downtown Detroit Marriott Hotel. The Detroit Silhouettes Auxiliary continued the long standing tradition of entertaining guest Silhouettes on a grand scale. 2012-2015 the leadership of President Judith Harvey continued the tradition of hosting the semiannual Bingo for the seniors at Brush Park Pavilion senior residents. 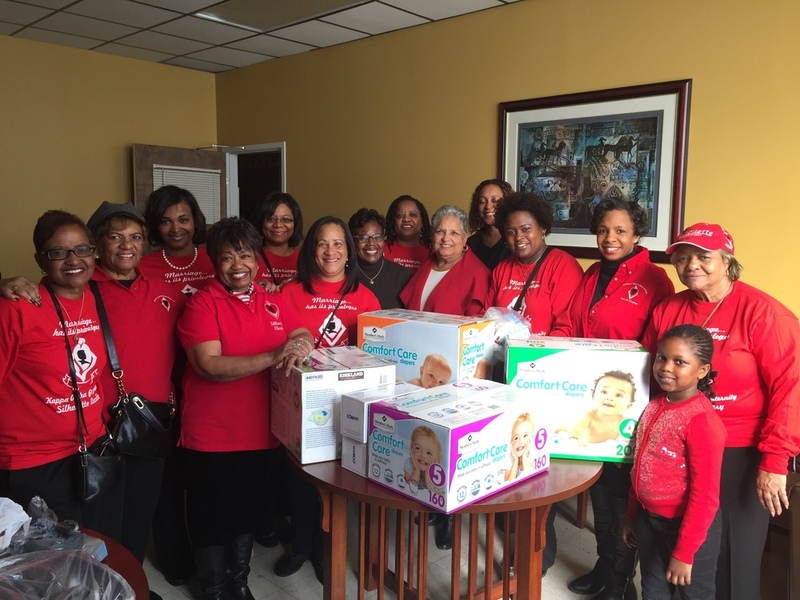 Other community projects included donating items for women and children at Transition 123, participated in the Detroit Kappa League annual clothing drive for C.O.T.S,(Coalition On Temporary Shelter) collected pop tabs for the Ronald McDonald House, donated cleaning supplies. We had successful Dinner & Movie fundraisers. 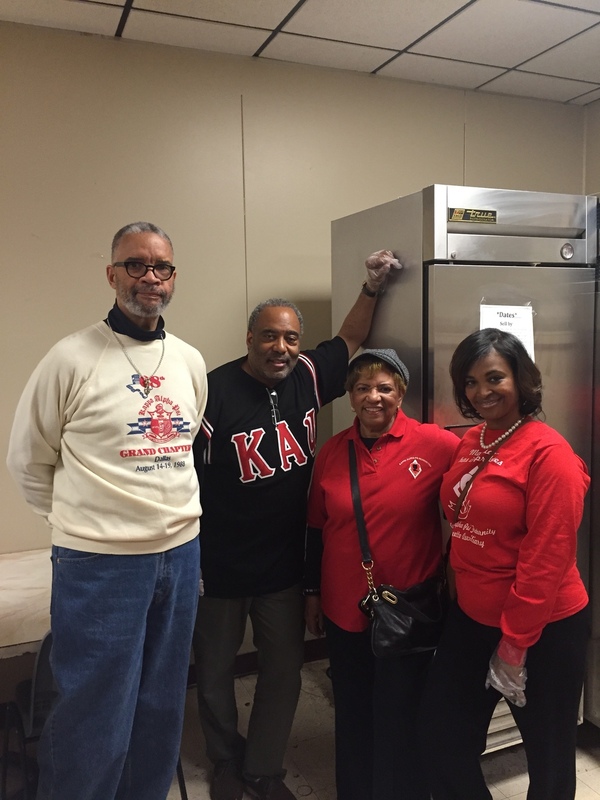 2015 -current President Glenda Curry continued to led our annual clothing drive with Detroit KappaLeague, along with our Kappa men we donated diapers and served lunch to the residents of C.O.T.S. We also donated over 30 men & women suits to Jackets For Jobs. On a National level, Detroit chapter’s own Bea Wells served as National 1st Vice President until 2011 and on the local Province level, Carrie Bryant served as Northern Province vice Coordinator, later Sandi Morrison served as our Northern Province vice Coordinator, and Juanita Lofton as our Northern Province Chaplain. During the Northern Province meeting in Detroit in April 2011 our President, Reichelle Tucker was elected as the Northern Province Treasure, Glenda Curry was elected Province Historian, and Juanita Lofton continued to serve as Northern Province Chaplain.During the Northern Province meeting in Saginaw in April 2015 Glenda Curry was elected as our Northern Province Treasurer and Juanita Lofton continues to serve as Northern Province Chaplain. We continue to celebrate and rededicate ourselves during our annual Silhouettes’ Round-up meeting in September and Founders Day in February. Detroit Silhouettes carry on the tradition of planning and implementing local and national projects, using each event as an opportunity to fellowship together, to bring in new members and to regain former Silhouettes. Like our founders, we continue to support and share the dreams of our Kappa husbands.